WHAT IS ALLERGY AND ITS CAUSES? When the body’s immune system reacts to a foreign substance such as pollen, insect venom, pet hairs or a food substance then it causes a reaction which is called as allergy. When there is an allergy the body’s immune system produces antibodies. The antibodies identify the allergen as harmful even when it actually is not that harmful; the reaction that follows causes inflammation of the skin, sinuses or digestive system and results in allergies or allergic reaction. The severity of allergies varies and can range from minor irritation to potentially life-threatening emergencies. Though allergies as such cannot be cured the symptoms can be treated and the patient can obtain some relief. The symptoms often depend on the substance involved. For food allergy the reaction can be tingling in the mouth, swelling of the lips, tongue, face or throat, hives and at time breathing trouble; for insect sting a large area of swelling or edema will be seen, there will be itching or hives, cough, chest tightness or wheezing are also seen; for drug allergies symptoms include hives, itchy skin, rashes, face swelling, wheezing and anaphylaxis. Anaphylaxis is a life-threatening medical emergency which causes a patient to go into shock and its symptoms include loss of consciousness, drop in BP, shortness of breath, rapid weak pulse, nausea or vomiting. As discussed earlier an allergy occurs when the immune system mistakes a normally harmless substance for a harmful invader. 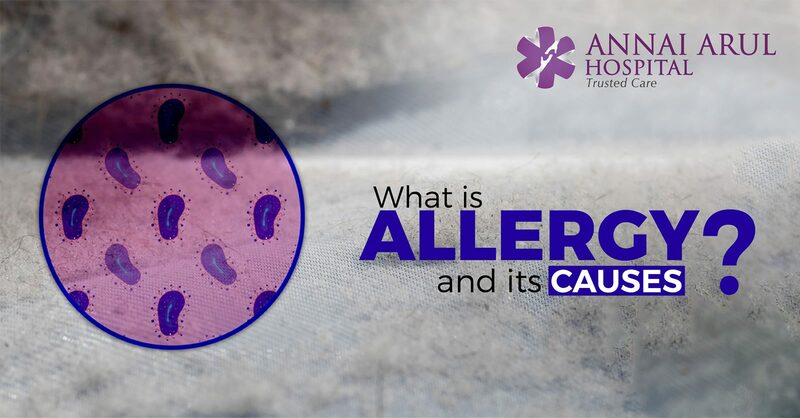 When a patient is exposed to an allergen then antibodies can release a number of immune system chemicals or histamine that causes the symptoms. The common allergy triggers include airborne allergens like pollen, animal hair, dust mites and mold. Some foods like peanuts, wheat, soy and fish or shellfish, eggs and milk also are triggers. Insect bites from bee and wasp and also medication like penicillin and antibiotics can cause allergy. Certain substances like latex can cause allergy. The risk factors include a family history of allergy, children are more vulnerable and if there is already an existing disease like asthma it will cause the allergy to aggravate. If there is already some sickness, fever or infection the allergic reaction can be quicker and severe. Allergies can be prevented by avoiding the triggers, identify the substances and causes for the allergy and write it down to know what substance is causing it. Today you have alert bracelets or necklaces that let’s others know that you are allergic to something and helps them find medical help for you in case of emergencies.